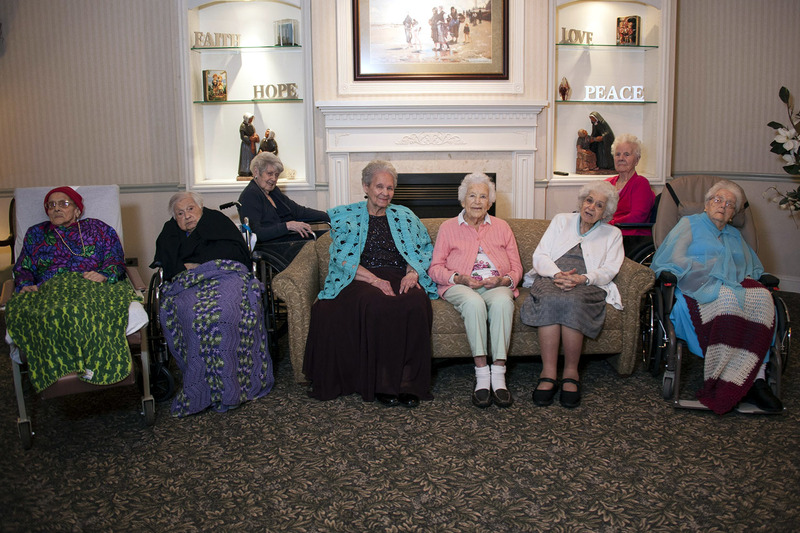 The Queen of Peace Residence will soon be home to eight centenarians: (from left) Amalia Acevedo, 100, Teresa Galati, 103, Jeannette Clark, 99, Beryl Netto, 99, Mary McQuade, 100, Mary Carruba, 99, Agnes Russo, 99 and Rita Driess, 103. There must be something in the water. By the end of the year, 10 percent of the residents of a church-affiliated Queens Village nursing home will be 100 or older. The eight centenarians will be the most ever at the Queen of Peace Residence in its 45-year existence, and members of the exclusive club shared with The Post the secrets to their longevity. “I eat pureed prunes every day. Maybe that has helped me live longer,” offered Beryl Netto, who will be crossing the century mark this winter. Mary Francis Carruba, who is turning 100 this fall, said overachievers have it all wrong. “I was always a lazy bird. That’s the secret to living longer — be lazy,” explained Carruba, who said she’s never had a job. TLC — and good eats — also help, Carruba said. “They usually take a nap in the afternoon,” noted Mother Superior Celine Therese, who runs the nursing home for the Little Sisters of the Poor, an order of Catholic nuns founded in 1839. The five-story nursing home has 80 residents, 17 of them are men. Youngster Michael Seberino is five years away from breaking the all-girls club, Therese noted. “The women must have outlived all the men,” she said. Copyright © 2018, LSOP Queens. All Rights Reserved.